Connecting Bristol welcomed over 40 people to the Our City Our Data event on the 24th of July which proved to be a very sunny afternoon. The event offered an interactive workshop around Bristol City Council’s (BCC) Our Data Bristol Initiative. This initiative is focused around increasingly enabling local people and organisations to use and benefit from data and technology. Marius Jennings– Open Data Project Manager at BCC, gave an overview of Bristol’s Smart City success and the potential of open data within the city through utilising the Bristol Open Data platform powered by OpenDataSoft. 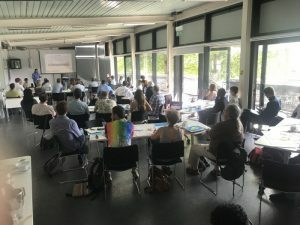 John Kellas – CEO at This Equals, spoke about the Bristol Open Data platform’s capabilities, understanding what data is, the data spectrum as well as cross-sector networking. James Snelgrove– Delivery Manager at BCC, presented on Bristol’s One City Plan and the city’s vision for 2050. Of particular interest is the role of open data in contributing to city metrics and the City Dashboard. Jackie Davies– Senior Technical Officer at BCC, gave insight into the role of data in Bristol’s Traffic Control Service and how traffic info is being supplied through the innovative Bristol API. Nick Smith – Strategic Intelligence and Performance Manager at BCC, provided an interactive overview of the Strategic Intelligence products, including dashboards, which have been added to the Bristol Open Data platform. 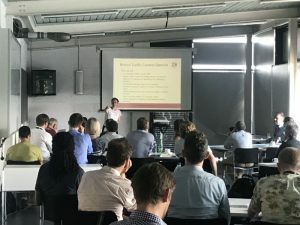 Dr. Carolina Sanchez Hernandez – Smart Transport/Smart Technologies at NATS, spoke about a dynamic project being run in partnership with Bristol Is Open. The project is working with Bristol Airport in exploring how to provide transport providers and their commuters with dynamic information. The second half of the workshop saw a World Café being held, with three rounds of 15 minutes facilitated conversations. Here participants were invited to move at their own pace while engaging around a choice of seven themes, for example, environment, children and learning, transport and connectivity and so forth. Outputs from these conversations are presently being collated and will be added to the online collaborative space www.bit.ly/bristolourdata. 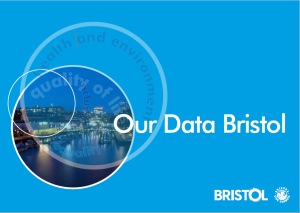 The Our Data Bristol Initiative will then utilise this feedback to inform how the project progresses and the focus of the next themed event to be held in autumn 2018. We would like to offer our thanks to everyone who came along and made the workshop such a positive and engaged success.